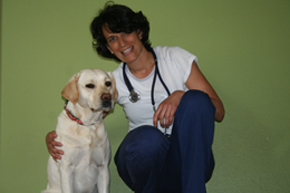 Elizabeth swapped her stethoscope for a spiral notebook after more than two decades of practicing veterinary medicine on creatures great and small, from cows and cockatoos to pampered pets and stranded sea lions. Although she loves the veterinary profession, she wanted to use her medical background as a foundation for writing stories with global impact—a goal beyond the reach of her general clinical work. As a veterinarian, Elizabeth watched the borders erode between animal environments and human habitats. When diseases jumped those blurry boundaries, she itched to create solutions that also crossed those species lines. So, she sharpened her writing skills in the UC Santa Cruz Science Communication Program. She gained practical experience as an intern for regional newspapers, the Stanford Medical School news office, and the Nature Medicine journal. Now, she’s delighted to be a reporting intern for Mongabay, where she can focus on our environment – the territory that man and animals must successfully share in order to survive. When Elizabeth isn’t being crowded by her cats at her computer keyboard, she’s training for her next marathon, swimming in the ocean, or learning how to tango.